Customs, street rods, vintage treasures, we’ve got it all! We’ve even got a category featuring custom bicycles by young builders. 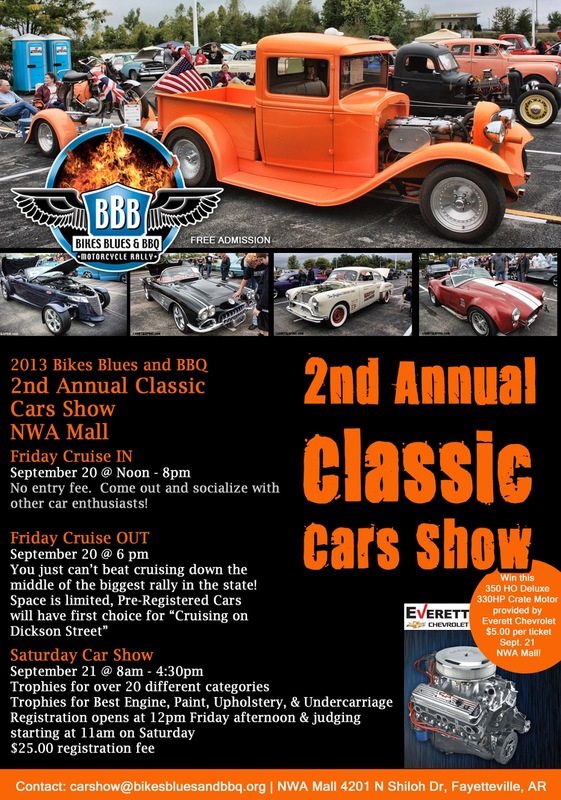 Vendors, DJ, special awards, everything that goes with a great car show. That’s because this is a GREAT car show! Come to see or come to show, it's still early and we already have twice as many cars registered as last year. It's looking more and more like the Classic Cars Show is earning a permanent role in the nation's largest charity motorcycle rally. Events at the Fairgrounds: Updated Schedule!